Famous for its scenic Great Lakes coastlines, superb skiing, and friendly people, Michigan is also home to a number of excellent bed and breakfasts. To get a sense of the local culture and enjoy Michigan at its finest, these B&Bs can't be beat. Southwest Michigan is a great place to go if you're hoping to have some fun out on the "Big Lake." Just a few hours' drive from Chicago, this region has excellent Lake Michigan beaches, cute boutiques, great restaurants, and a plethora of antique shops. If you'll be visiting this region, consider one of the following bed and breakfasts. Holland is a beautiful little town on the Lake Michigan coast, offering plenty of opportunities for dining, shopping, and exploring. It's also an area largely settled by Dutch immigrants, and Dutch heritage is a big part of the appeal of this town. The Dutch Colonial Inn embraces this special aspect of Holland's culture, including many breakfast dishes famous in the Dutch community. The four beautifully-decorated guest rooms each offer a television, a private bath, and a fireplace. Some rooms also offer jetted tubs with room for two. Prices range from $119 to $179 per night. As its name implies, South Haven is a heavenly town right on the shore of Lake Michigan. It offers beaches, shopping, and a beautiful lighthouse. The Seymour House is located on an 11-acre plot of land with a pond and plenty of walking trails. The 1862 stately brick home offers five theme-decorated rooms, ranging from the mermaid-themed Siren's Call room to the flower-decorated Patty's Garden room. All rooms have TVs, private baths, fireplaces, and queen- or king-sized beds. A full gourmet breakfast is served each morning. Prices range from $99 to $170 per night. While it doesn't offer the Great Lakes coastlines that other regions of the state provide, central Michigan does boast a few important attractions. This is the place to go if you're interested in antique shopping, local history, or Michigan State University. No matter why you're visiting, one of these bed and breakfasts could be the perfect place to stay. Munro House has seven beautifully-appointed guest rooms, each of which has its own private bath, as well as cable television and free Wi-Fi. Depending on the room you book, you may also be able to enjoy a Jacuzzi or gas fireplace during your stay. On-site spa services are available, as are special packages and themed getaways, such as a retreat just for foodies or girls' weekend outings. In addition to human hosts, you'll also be welcomed by the owners' two Scottish terriers. Located just one block from the campus of Michigan State University, the Wild Goose Inn is a great place to stay if you're attending a game, going to a conference, or visiting students or staff at the university. This B&B offers six guest suites, each with a private bathroom that has a Jacuzzi tub and a television. A beautiful fire pit and expansive front porch offer common space to share. Rooms start at $169 per night. Eastern Michigan is a great place to visit if you're interested in automotive history or want to check out a game at the University of Michigan. This historic area is home to gorgeous architecture from the golden age of the automotive industry. Bay City is a beautiful riverfront town offering plenty of antique shopping, nearby outlet malls, and great dining. 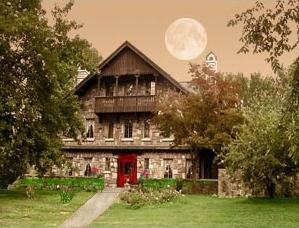 The Historic Webster House is a B&B located in the heart of it all. The gorgeous 1886 home has an all-brick exterior and plenty of Queen Anne-style charm. There's a spa and sauna on site, and a gourmet breakfast is served every morning. The seven guest rooms each feature private baths and are decorated in unique and beautiful styles. Prices range from $100 to $176 per night. Located right in the middle of the action in downtown Ann Arbor, the Stone Chalet offers historic accommodations in one of Michigan's most exciting college towns. Each of the ten guest rooms includes a private bathroom and a fireplace, and breakfast includes natural and whole foods. Nightly rates range from $129 to $275. Special scholar's and extended-stay rates are available. Often referred to as "Up North" by the residents of Detroit and Lansing, the northern portion of Michigan's lower peninsula is a very popular vacation spot for people from all over the world. From the spectacular Grand Traverse region with its giant sand dunes and turquoise water to the exciting history and breathtaking views in Mackinaw City, there's lots to enjoy. Consider one of the following bed and breakfasts for your stay. Omena is a small town on the Lelenau Peninsula, just a few minutes from the resort town of Traverse City, the incredible Sleeping Bear Sand Dunes, and a number of golf resorts. The Omena Sunset Lodge offers amazing views of Grand Traverse Bay. The main house has four guest rooms with private baths, including the famous "dancing bears" suite. Six additional rooms are located in other buildings on the beautiful grounds. Rates vary significantly with the season and night, so it's best to call for current prices. If you're interested in seeing the historic fort or want to view the Mackinaw bridge close-up, you can't beat staying in Mackinaw City. The expansive Brigadoon Bed & Breakfast features eight beautifully decorated guest suites, each with a private bathroom with jetted tub, fireplace, and television. Breakfast includes such favorites as Peach French Toast and Eggs Florentine. The room rates vary significantly based on the season, but prices start at $85 per night. 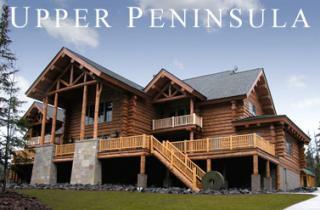 Michigan's Upper Peninsula is a vast area steeped in history and rustic culture. During a visit, you'll be confronted with the rugged beauty of the region, from the shores of Lake Superior to the many waterfalls and hiking trails. 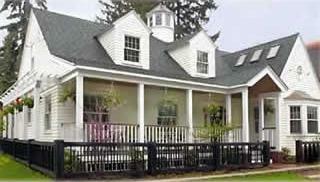 Consider a stay at one of the following bed and breakfast inns. Many people call Mackinac (pronounced "mack-in-aw") Island the crowning jewel of the state of Michigan. This historic island has no motorized transportation. Visitors get there by taking a ferry from the mainland, and get around the island by horse-and-buggy or by bicycle. The Bay View B&B embraces the unique history of this island while offering all the modern conveniences you would expect to find. The 19 guest rooms each have private baths and televisions, and a gourmet seated breakfast is served every morning on the house's exquisite veranda. Nightly prices range from $95 to $350, depending on the season. Located on the very tip of the amazing Keweenaw Peninsula that juts out into Lake Superior, this is a region with a rich history and spectacular natural beauty. The Dapple Gray Bed and Breakfast is a new building, but it's decorated in lovely Victorian furnishings. This makes a great base for exploring the region, and you'll enjoy the tasty breakfast. The four guest rooms each feature private baths, and rates range from $150 to $175 per night. Whether you're enjoying the history and beauty of Mackinac Island or the great antique shopping in Coldwater, you'll enjoy your trip and your accommodations. 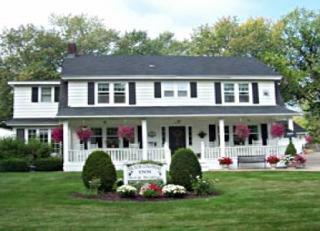 No matter where you end up staying in Michigan, you'll have plenty of choices when it comes to welcoming and comfortable bed and breakfasts.